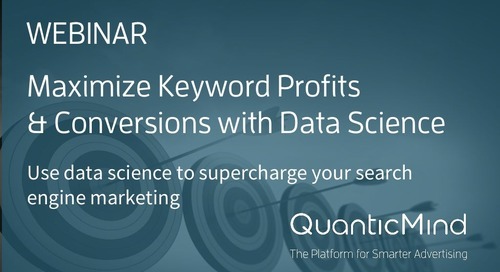 Watch this webinar replay and learn why data science is such an important component of paid search marketing programs. Learn from experts on: 1. New opportunities and challenges in paid search 2. How to drive better performance by harnessing the wealth of data now available 3. How to apply sophisticated data science methodologies to gain new insights Speakers: Marlin Gilbert. Vice President, Revenue. QuanticMind Marlin brings over eight years of experience with Google into the equation. 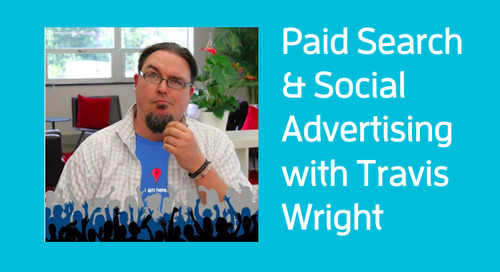 He's worked with some of the most sophisticated marketers at the largest online advertisers in the world. Justin Smith. Vice President, Data Science. QuanticMind It's hard to find a bigger data geek than Justin. He's lead analytics at Answers.com and Wize Commerce - NexTag. Math and stats are his weapons. 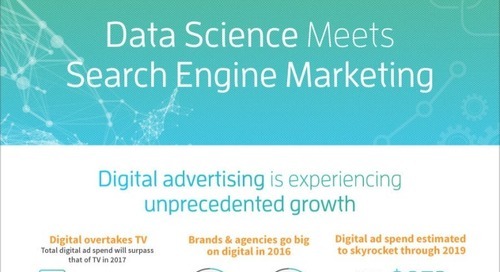 Check out this slide deck from our webinar to learn how data science can supercharge your search engine marketing performance and efficiency. See better results with less manual work.